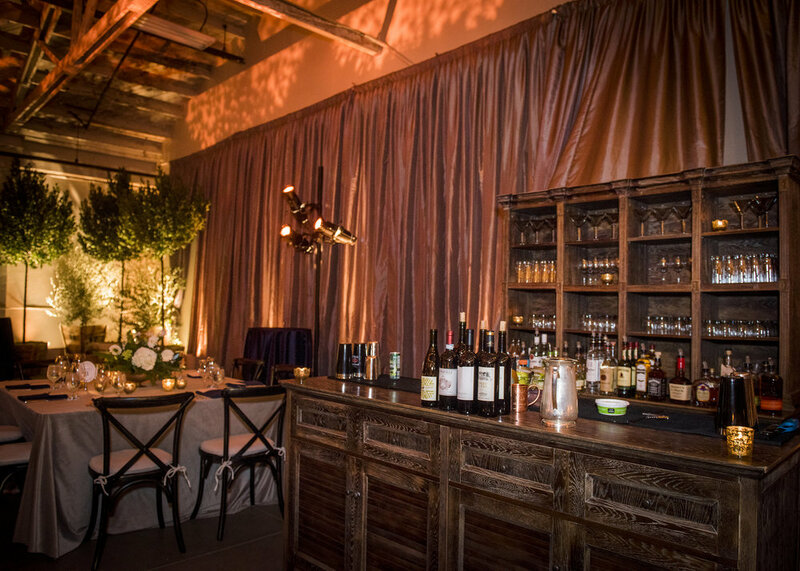 This couple chose The Prop House Lounge and Warehouse to showcase their own personal style at their wedding. 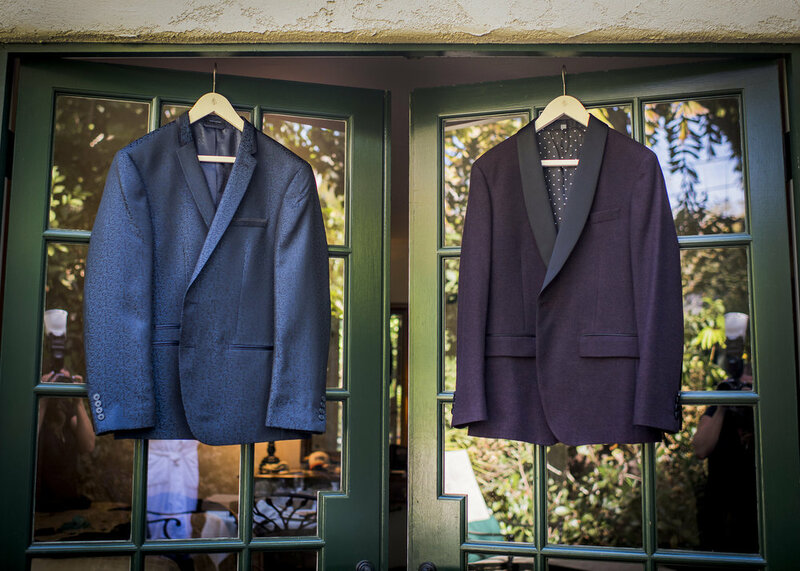 While one groom opted for a more traditional black tuxedo, the other chose a navy blue brocade blazer to complete his look. The ceremony for this couple took place indoors and the couple had a backdrop of a variety of indoor trees to frame them as they were married by Judge Thomas Adams. After the ceremony, cocktail hour was provided by Simply Cocktails and specialty wines were chosen from The Liquor & Wine Grotto. Comfortable couches, chairs and a handful of tables were placed all around the cocktail hour space to create a laid back vibe. Moving into the reception space, the grooms and their guests were delighted with a wonderful catered meal by Feast & Fest. 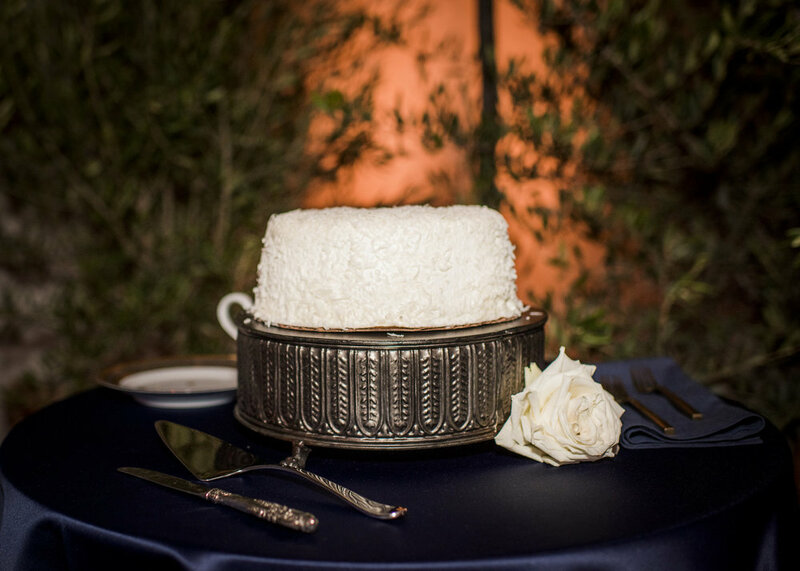 The tables were alternated with some having linens from La Tavola Fine Linen and some going without. 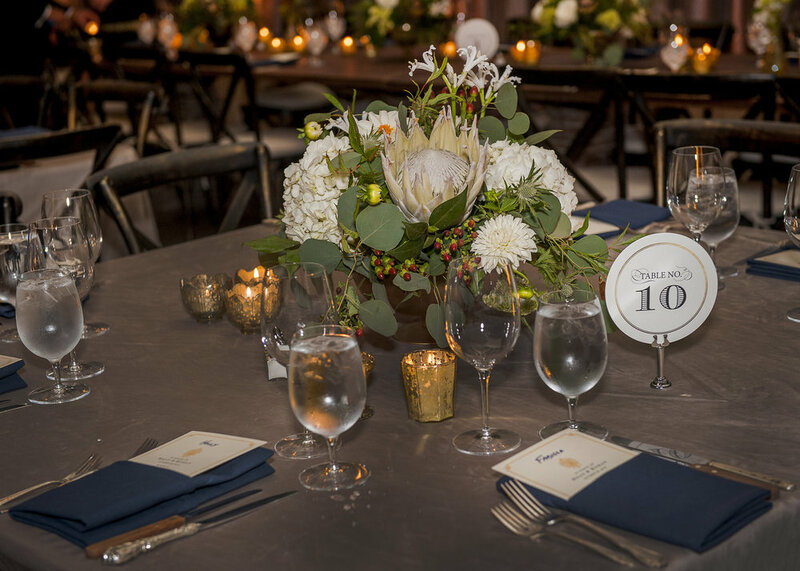 The tables were decorated with lovely arrangements by Ella & Louie with a variety of unique white blooms. 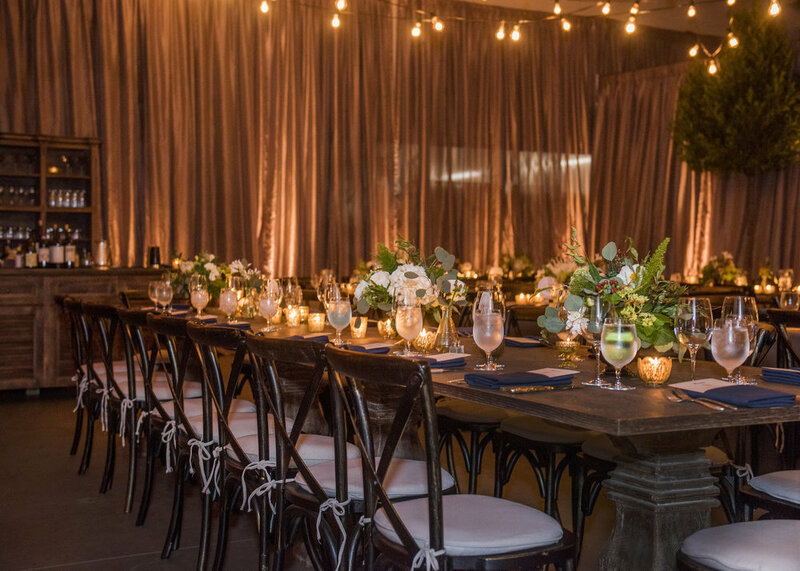 The reception held was lit by candles placed strategically throughout the room as well as market lights strung overhead by SPARK Creative Events. DJ Patrick Butler got everyone out of their seats and on the dance floor, celebrating late into the evening. 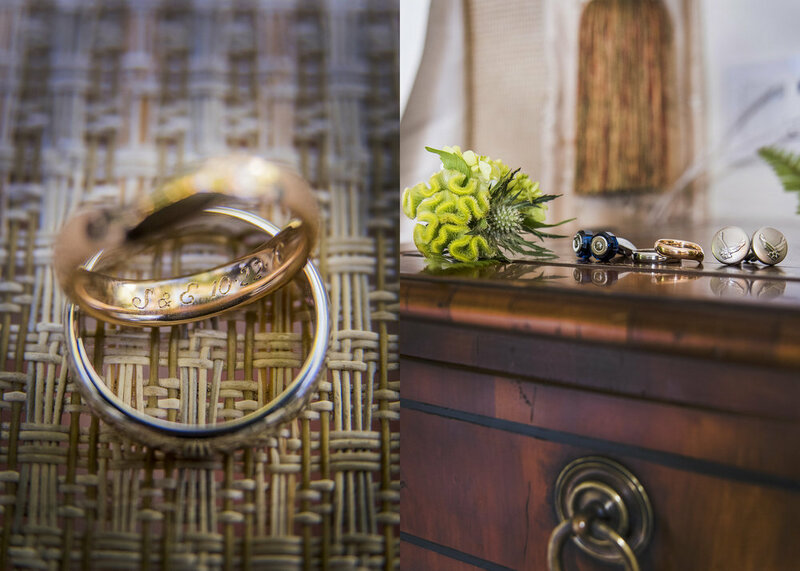 Willa Kveta Photography captured this special day for these grooms and all was carefully planned and executed by Pamela Galvin Events.